Four months into 2017 and I've already made three visits to Bataan. 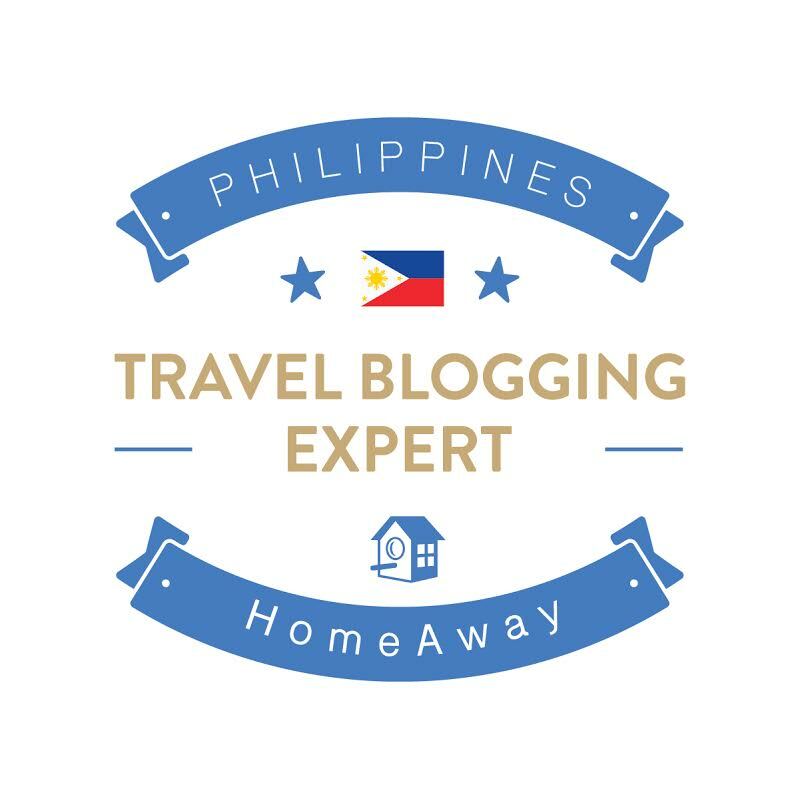 With a lot of nice trails, good food and its proximity to Manila, it has become an irresistible weekend destination for me. 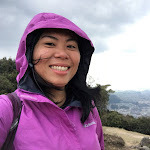 On my most recent trip however, I wasn't going for a hike like I usually do, but for an unconventional adventure - a journey back to the past, remembering those who courageously fought for our freedom during World War II. Every 9th of April, the Philippines' celebrates Araw ng Kagitingan (Day of Valor), formerly Bataan day, honoring those who sacrificed their lives to defend the country's freedom against the Japanese invaders. 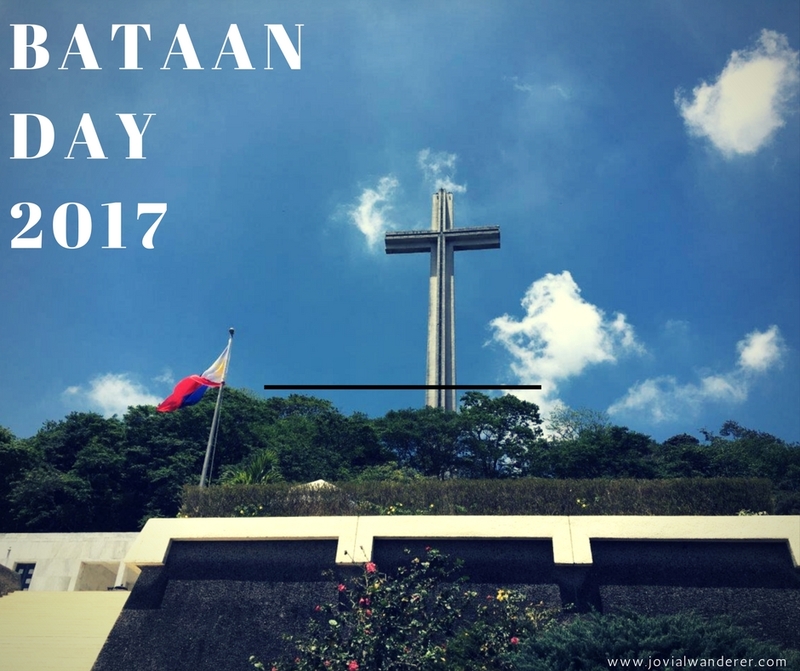 This day of remembrance commemorates three significant events in the country during the war - the Fall of Bataan (April 9, 1942) where thousands of American and Filipino soldiers surrendered and participated in the grueling Bataan Death March; Fall of Corregidor (May 6, 1942), the last stronghold to surrender against the Japanese invaders and the Battle of Besang Pass (June 14, 1945), a vicious battle won by Filipino warriors that contributed to the surrender of General Yamashita, the leader of the Imperial forces in the Philippines. *For more information, please click the link on each event. A related celebration recognizing World War II veterans, April 5-11 of every year was declared as Philippine Veterans Week. During this period, activities are held "to promote, preserve and memorialize the principles, ideals and deeds of the Filipino veterans as a means to enhance patriotism and love of country, especially among the youth." In the province of Bataan, a variety of programs and activities are held celebrating people, honoring those who sacrificed their lives for the country and the people living in the present - young and old, who are driving progress in the country. members of Knights of Columbus, a global fraternal organization dedicated to "providing charitable services, promoting Catholic education & Catholic public policy positions and actively defending Catholicism"
In the afternoon, we listened to lively and impressive performances by the bands from the Armed Forces of The Philippines Band and the Philippine Airforce. The program which was open to everyone was attended by Bataan's key politicians, Governor Albert Garcia, Congresswoman Geraldine Roman, Mariveles Mayor Ace Concepcion to name a few. It was surreal seeing Gilbert Teodoro back on the stage to deliver an inspirational message.The former secretary of national defense, with his eloquence and wit was a popular presidential candidate during the 2010 National elections. Ever charming, he began his speech by apologizing for being a little out of practice as it was his first public appearance after the elections. In his message, he stressed the importance of protecting our territory and remembering veterans from World War II and the present day, the soldiers who are fighting the war against terrorism. The parade of floats was another highlight of the program. A contest participated by the municipalities in Bataan, each float executed a theme related to important events during the war, with a narrator delivering heartbreaking stories behind each float - the start of the war, how the hospitals were attacked, the violation of women, the horrific details of the death march and the war. 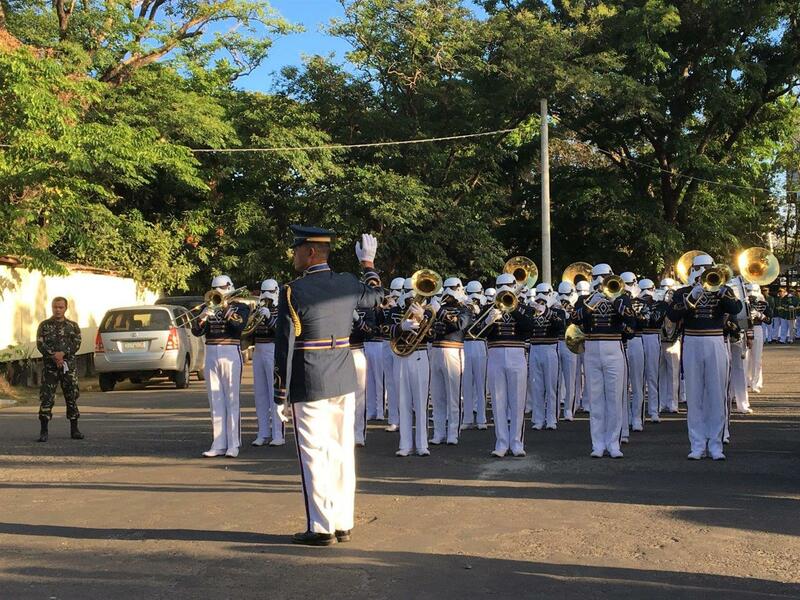 The parade ended on a positive note, an account of the province's achievements, a testament of how Bataan has risen from the war. 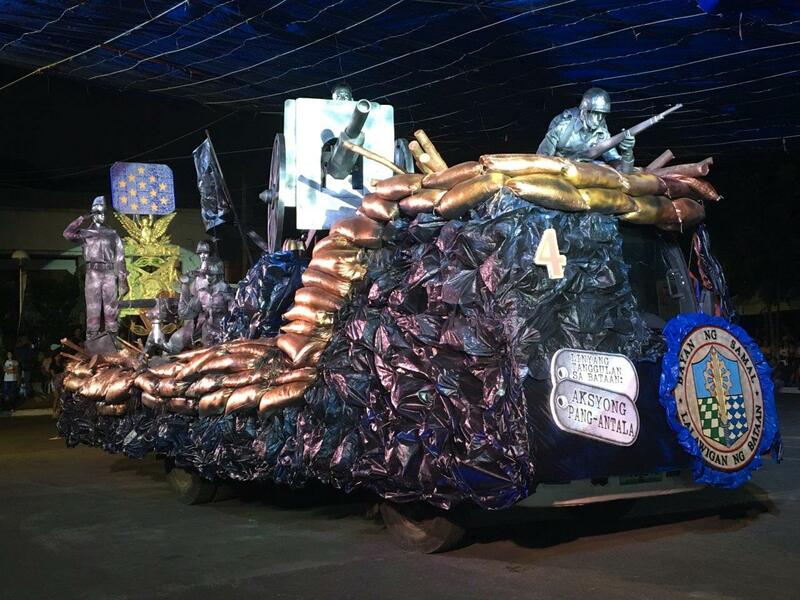 A float by the municipality of Samal portraying the first line of defense in Layac. The next day, we headed to Mt. Samat to cover a program attended by veterans groups and their families, political leaders and other civic organizations. During the war, soldiers retreated to this mountain along with civilians. Bombed heavily by the Japanese, the mountain looked like a giant ball of fire. 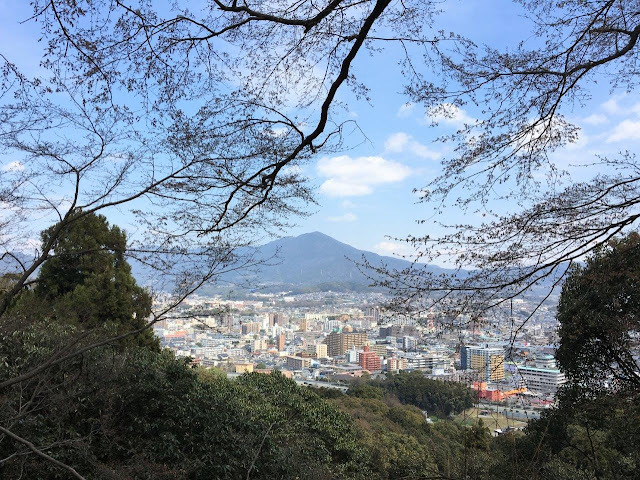 Today, the foliage around this mountain has grown back and is now a major tourist destination. 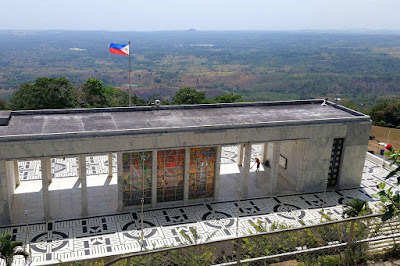 On its summit stands an iconic structure, Dambana ng Kagitingan, a 92 meter cross with a viewing gallery built in honor of WWII Filipino and American soldiers. 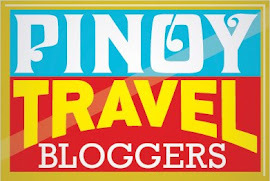 Other attractions include a war museum, colonnade and scenic views West Philippine sea. It was a hot morning and though we waited for a few hours before the program started,font-family: "trebuchet ms" , sans-serif;">the energy of the crowd buzzed with excitement s President Duterte announced that he has ordered the release of 6 billion Pesos for the veteran's pension. "I’d like to repeat it. I am directing the Department of Budget and Management, DBM, and the Department of National Defense to expedite the early release of the AFP’s retirees pension credentials for fiscal years 2008 to 2013 in the amount of 6,421,000,000." Read full speech here. It was indeed cheery news but taking into account that the war was in 1942, the compensation is long overdue. Nevertheless, the announcement was well received by the audience. The Japanese, who have long made amends to what has transpired in the war, also participated in the commemoration of Araw ng Kagitingan. This year during the program at Mt. Samat, Japanese ambassador Kazuhide Ishikaw stood on stage, in front of American and Filipino audiences and began his speech with a sincere apology, a gesture I found noble. Having lived in the Philippines all my life, apologies from public officials convicted of crimes are rarely heard (or maybe - it's just not publicized?). the Grandest Pyrotechnics, a 25-minute fireworks display, enjoyed by guests of honor, the people of Bataan and their visitors. He has also donated sound systems to schools and cash prizes to some of the local contests showcasing the talents of Bataan's youth. Here's a clip from the performance of Koro Bangkal, a youth choir composed of children from the Aeta community, an indigenous group. Below's a photo from the performance of Orani, the winning municipality of the drum and lyre competition. Here's a video of the highlights. This year's Araw ng Kagitingan had been very memorable. For one, it's my first time to witness the activities up close. Even more valuable as being able to travel here, I developed a deeper appreciation of our country's past and remain optimistic about the future. Despite the pressing issues in our country, I cannot just throw in the towel. This is the same country where I met kind and sunny people, the land of great singers & talented people, eye-popping landscapes and good food. How can I believe we're hopeless? To the Provincial tourism of Bataan, thank you for inviting us!